The fragmented and politically incoherent protests do not pose an imminent revolutionary threat to the deeply entrenched Islamic Republic of Iran. With the demonstrations lacking clear leadership or a coherently articulated positive programme, the tide ultimately will turn back in the regime’s favour, helped by a range of concessions and targeted crackdowns. However, the idea of popular democratic opposition has been rehabilitated and the protests have offered a salutary warning that the system needs to adapt to societal change and popular aspirations. Ultimately the regime will balance repression with concession. In this context, Western supported ‘democracy promotion’ measures designed to achieve regime change, will only encourage the hard-liners within the regime, whereas an alliance of regime soft-liners and the ‘constructive’ opposition offers Iran a unique opportunity for evolutionary change. Iran has been riddled with violent protests for a week at the time of writing. 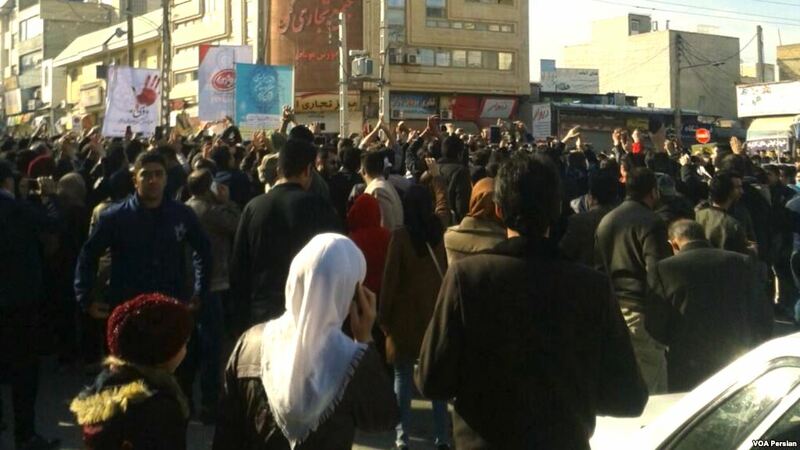 Protests are principally over inflation, unpaid wages, and lost deposits amid bankruptcies of unlicensed credit and financial institutions, in the northeastern city of Mashhad on 28 December 2017, and which spread to other regional towns and larger Iranian cities. Pop up ‘experts’ with no scholarly or academic expertise or training have presumptuously concluded that this Islamic republic of Iran is on its last legs and that the demise of what they regard as theocratic sovereignty is imminent. These pundits were of the same breed holding their breath, in anticipation of a messianic, cathartic, end-of-days-type regime change during the 2009 demonstrations disputing the presidential election results – a regime change that would miraculously bring social and economic justice to the people of Iran. They have little conception of Iranian history – specifically the history of Western meddling in Iran’s internal political affairs for economic and geostrategic interests (for example, the overthrow of the democratically-elected Prime Minister Mohammad Mossadegh, who nationalised Iran’s oil industry in the 1950s). This history began in the 1890s beginning with the Tobacco revolt, following the lion’s share of a national tobacco concession to the British. The Iranian revolution in 1979 was the culmination of decades of discontent over Western interference in Iranian affairs. National independence was one of the main tenets of Khomeini’s revolutionary narrative. Intellectual and political discourse over the decades leading up to the Iranian revolution reflected frustration with the Pahlavi Shahs’ deference to the West and the quest to develop a nativistic, indigenous, Iranian path to development that was reflective of Iran’s historical-cultural genotype. Today, Iran is a hybrid theocracy-democracy, and one that has at its helm, a moderate, centrist, reform-orientated President, now in his second term, voted in democratically by the Iranian populace. Note that the 73.3 percent voter turnout in the presidential elections in June 2017, also reflects popular engagement with the state and while not necessarily validation of the system, it demonstrates popular participation, input and involvement in the fate and the future of the Islamic republic (while, conversely, non-participation would reflect outright denunciation of the state). President Rouhani’s candidacy (which implies a progressive outlook on Iran’s developmental path) won the approval of one the key vetting agencies, the Guardian Council, a conservative theocratic superstructure. This orientation then, by extension, has the unspoken approval of the Supreme Leader, who has the political authority to interdict any force he deems a threat to national security and the original revolutionary tenets. In other words, President Hassan Rouhani and his popular mandate enjoy the tacit or implied support of the entire system it seeks to reform. Let us step aside from the hype over the protests. While Rouhani’s financial mismanagement can be scrutinised, and the pace of reform, intensity, speed and delivery of change are being disputed, Rouhani’s progressive agenda has borne fruit. The clearest example of the success of the reform agenda is the 2015 nuclear deal struck between Iran and six world powers: the United States, the United Kingdom, Russia, France, China, and Germany (the P5+1). Iran’s official revolutionary discourse rejects compromises with the West. The watershed nuclear deal, caught in the middle of factional opposition and wrangling, ultimately received the implicit approval of the conservative Supreme Leader, Ali Khamenei. This flexibility suggests a shift towards pragmatism and a more conciliatory stance. Other social policies that are reflective of change include the debate over the re-election of a Zoroastrian as a city council member in Yazd. While the ultra-conservative head of the Guardian Council, Ayatollah Jannati argues that religious minorities cannot be representatives of Muslim-majority constituencies, Rouhani and the parliament are pushing for a reinterpretation. Other measures include the regime’s socially conscious measure to set up addiction treatment centres modelled on the American Alcoholics Anonymous model, to care for alcoholics. This subject is taboo or ‘haram’ (prohibited in Islam) to even discuss. Since 2015, following the order of the Health Ministry dozens of private clinics and government institutions have opened help desks and special wards for alcoholics. There is an ongoing debate over compulsory hijab in the car – some women are refusing to wear a hijab while driving, sparking a nationwide debate over what is considered private or public. Obligatory wearing of the hijab has been an integral policy of the Islamic republic since the 1979 Revolution, but it is one the establishment has had a great deal of difficulty enforcing. Many Iranian women are already pushing the boundaries, and observers in Tehran say women who drive with their headscarves resting on their shoulders are becoming a familiar sight. The Iranian judiciary and the police force insist a car interior is public space, but more women are defying authorities by driving with ‘bad hijab’. Rouhani has argued that people’s private space should be respected and opposes a crackdown on women who don’t wear the hijab. The president said explicitly that the police’s job is not to administer Islam. ‘Private or not private?’ asked an article carried by the state IRNA news agency on 10 July 2017. The article added: ‘This is a question that has created a legal and religious discussion about private space within cars’. The debate is not only among liberal Iranians. Abolfazl Najafi Tehrani, a cleric based in Tehran, tweeted: ‘People’s cars, like people’s houses, are their property and a private space and infringing upon this space will disturb people’s moral security and will harm women’s trust with the police’. Other indications of change are more progressive attitudes towards women. Iran Air, the country’s national airline, has for the first time appointed a female CEO. Farzaneh Sharafbafi, who is also the first Iranian woman with a PhD in aerospace, will replace the current CEO Farhad Parvaresh. Sharafbafi, the current director general of Iran Air’s research department, will be the first-ever woman to head the national flag carrier, Fars reported. In a sign of slowly changing attitudes, Ali Karimi, a veteran Iranian footballer, has called on authorities to allow female fans to attend stadiums alongside men. These measures are indicative that the state is actively debating the parameters of what is permitted and what is prohibited in order to respond to the demands for change ‘from below’. The boundaries of Islamic thought and practice are being creatively extended in order to fulfil the popular mandate. If these protests, remain peaceful and constructive and are in turn, met with the soft-liners’ responsiveness, we can consider these protests a successful exercise in democracy. In other words, this episode will have nurtured the democratic elements of the hybrid Islamic republic. If they do become violent and fall outside of the social contract between state and society (a social contract that becomes binding when an election vote is cast), hard-line forces will clamp down on the protests. A non-violent and pacific movement will strengthen the alliance between a constructive opposition and soft-line, progressive and moderate elements, who will have to explore more creative ways in order to negotiate harder to harness socio-political grievances into tangible reform measures.